Subject: Antique print, titled: 'The Dessert'. 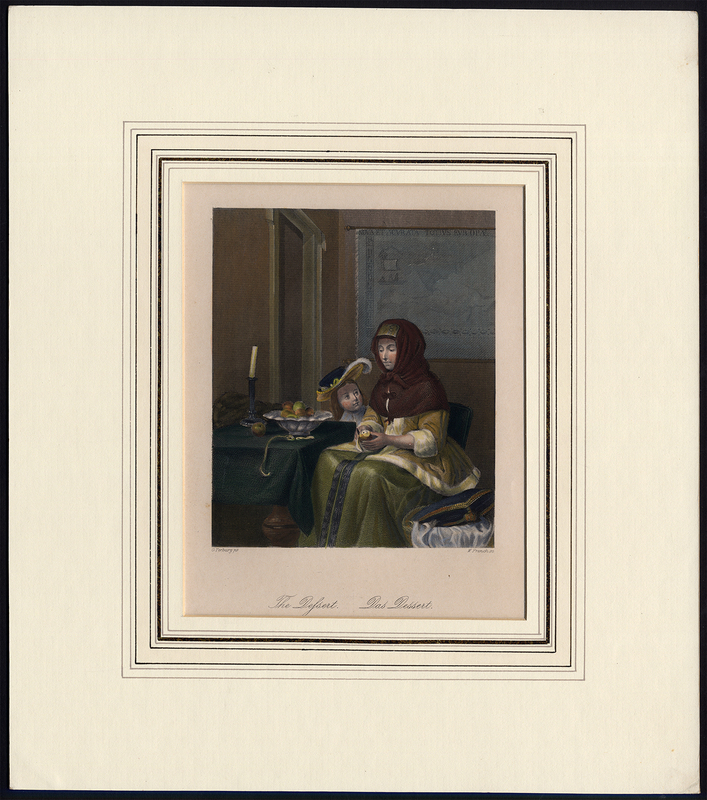 It shows: a lady seated at a table is peeling an apple from a fruit bowl for the boy next to her. Size (in cm): The overall size is ca. 32 x 36 cm. The image size is ca. 15.5 x 20 cm. Size (in inch): The overall size is ca. 12.6 x 14.2 inch. The image size is ca. 6.1 x 7.9 inch. Artists and Engravers: Engraved by W. French after G. Terburg.